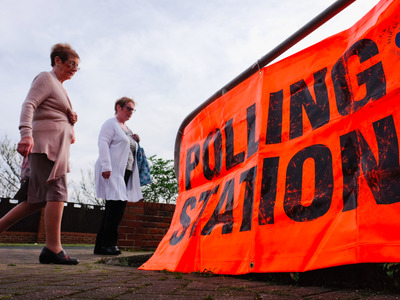 Ian Forsyth/Getty ImagesVoters head to the polls to cast their vote in the EU Referendum on June 23, 2016, in Redcar, United Kingdom. Uber is encouraging some of its UK users to go and vote by sending them a push notification through its popular taxi app. Wet weather and public transportation issues made it difficult for some Londoners to get to the polls on Thursday morning, meaning those that have not yet dropped their paper in the ballot box may be more inclined to take an Uber. “Don’t be a passenger on decisions about your future. The vote on whether Britain stays or leaves the EU is today. Polling stations are open from 7am to 10pm”. The notification, which is likely to help Uber get more rides, also contains a link that allows people to find their nearest polling station. However, those wishing to take an Uber to the polling station may have to pay a higher rate than usual as demand has been high this afternoon. At the time of writing, Uber had a “surge” charge in action that meant customers would have to pay 1.7x the normal rate. Business Insider has contacted Uber to try and find out how many polling station drop-offs it has done through the course of the day. 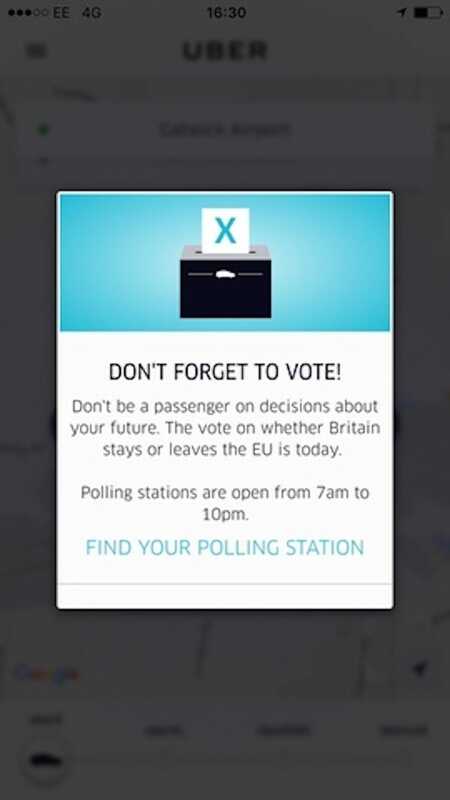 Lianna Brinded / Business InsiderThe Uber notification encouraging people to vote.